As ancient as the moon itself, Moonstone holds a powerful mystery locked beneath its pearly veil. Since the earliest times, Moonstone has been used in amulets of protection for travelers, as a gift of lovers for passion, a channel for prophecy, and a path to wisdom. Like the cyclical cadence of the moon itself, Moonstone calms and encourages us, teaching us the natural rhythms of life. Sometimes known as the Traveler's Stone for the protection it affords, especially at night, Moonstone is named for its moon-like sheen. It is a Feldspar mineral exhibiting a soft, watery opaqueness and a silvery-white reflection. Rainbow Moonstone acts as a prism, displaying beautiful flashes of color with different angles of light, and diffusing energy throughout the aura. It provides psychic protection, deflecting negativity and clearing the mind and senses, and aids in lucid dreaming and calm sleep. Moonstone bestows a depth of feeling, a gentleness within the self that brings happiness to the environment in which it resides. 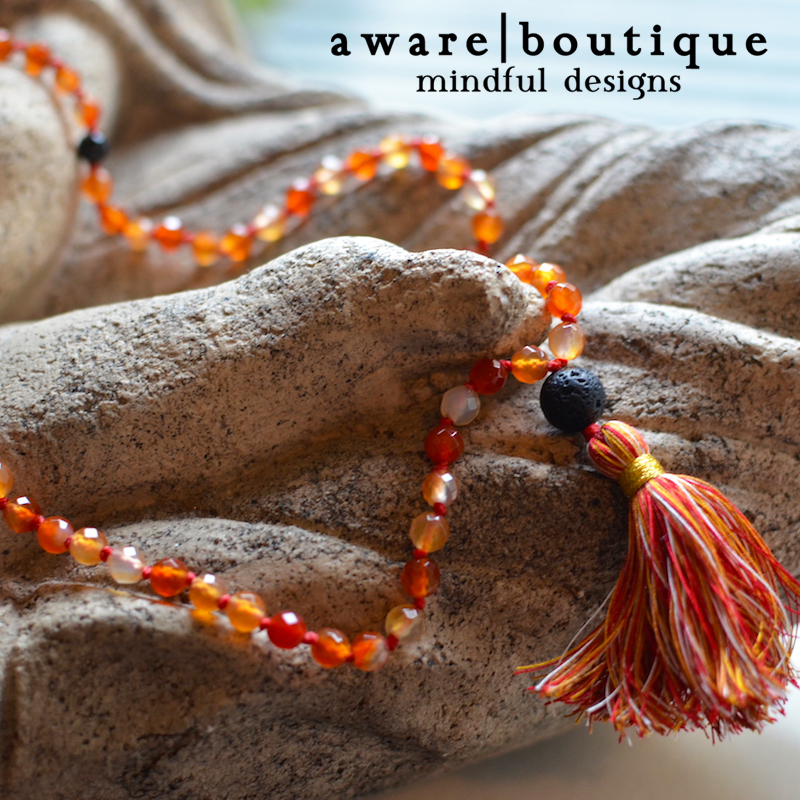 Associated with the feminine, it enhances the intuitive side of the mind, opening the mind to hoping and wishing, inspiration and impulse, serendipity and synchronicity. It brings flashes of insight, keeping one from negatively banishing possibilities. Aligned with the Goddess, Rainbow Moonstones connects with the energies and spirits of Nature. The name sodalite comes from the Greek words soda and lithos, which means salt stone, as the stone contains a lot of salt. Sodalite was discovered in Canada in 1891 during a visit of the Royal family, which earned it the nickname ‘Princess Blue’. Throughout history it was believed that sodalite improved creativity, leading to a high use among writers and artists, earning it the nickname of the "poet's stone." The natural negativity-filtering, communication-enhancing sodalite properties are very beneficial to writers, in keeping with sodalite meaning. 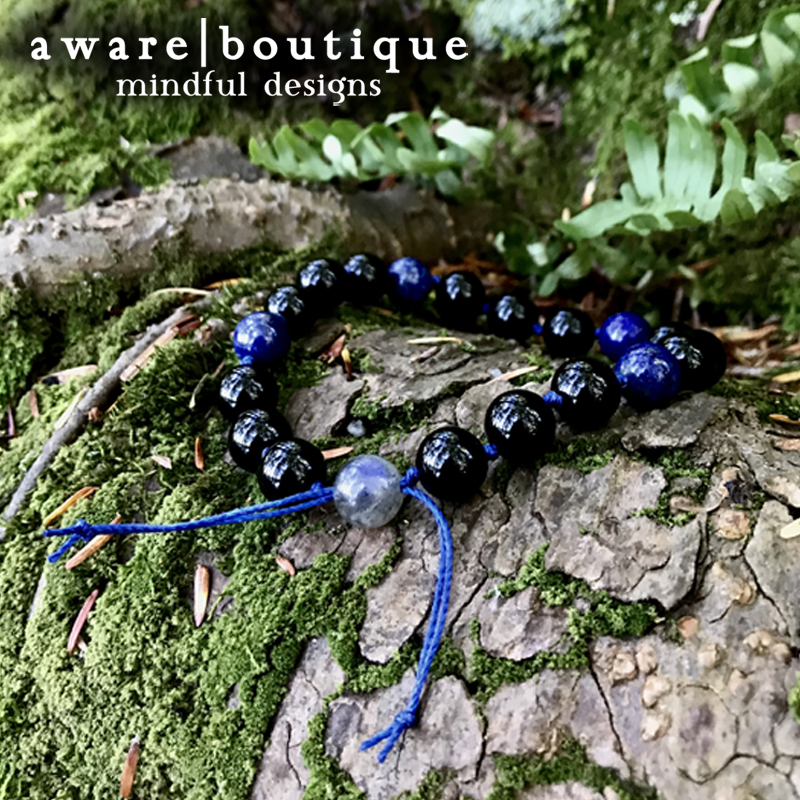 Sodalite mineral stones filter out negative energy and encourage a positive thought process and enhanced communication, both of which are vital to writers. Minimizing the negative facilitates a more positive view of others, helping to reveal the brighter side of an issue or person, and enhancing the ability to give someone the benefit of the doubt, so to speak. Physically, Sodalite can ease anxiety and panic attacks, mental confusion, and fear/phobias. Use Sodalite to strengthen the immune system, ease insomnia and balance metabolism. Blue Aventurine combines the elements of Wind and Water in a gentle stone that resonates from the mind to the heart, working calmly, rationally, and steadily. It enhances the masculine energy in both males and females, and is a stone of self-discipline and inner strength, assisting one in making clear decisions and sticking by them. Aventurine is a variety of Quartz characterized by bright inclusions of Mica or other minerals that give a shimmering or glistening effect to the stone. As a “take charge” and “stick to it” crystal, Blue Aventurine can be highly beneficial in overcoming bad habits, such as smoking, overeating, and substance-abuse, or in dissolving negative traits, such as selfishness and passive aggression. Physically, Blue Aventurine ameliorates pain and chronic stiffness, and may help in lessening muscle twitches, spasms and facial tics. It assists in calming hyperactivity, and enhances mental focus and concentration. This crystal is beneficial in overcoming insomnia, lessens migraines and headaches, and aids the eyesight. It has a cooling effect and reduces fever; it is believed to relieve sinus problems, allergies, colds, coughs and congestion. Blue Aventurine encourages adventure at any age and is a stone of travel, helping to make desired travel plans happen and for protection against travel interruption. Quartz crystals are the most common and abundant in the world, comprising the largest and most diverse family in the mineral kingdom. From ancient times to the present day, quartz crystals have been valued by nearly every civilization as a source of Light to mankind. Clear Quartz, pure silicon dioxide, is also called Rock Crystal or Ice Crystal, from the Greek word "krystallos", meaning "ice", because crystal was believed to be water frozen so hard it could never thaw. It is referred to as "The Perfect Jewel," for in its sparkling light is contained the entire color spectrum. Clear Quartz amplifies whatever energy or intent is programmed into it, and continues to broadcast that energy throughout the world and into the etheric realms. 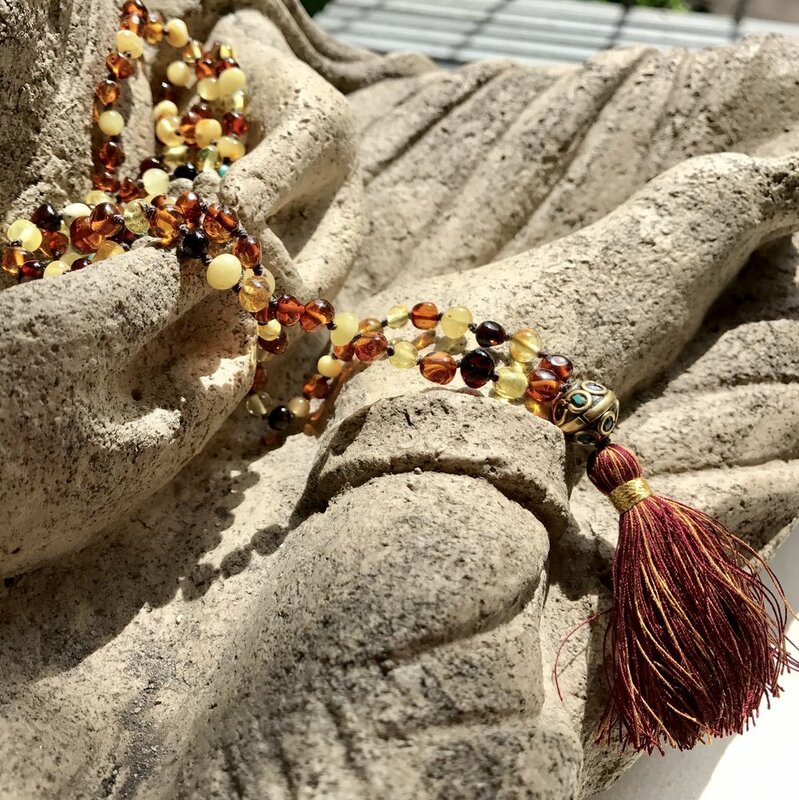 This may accelerate the fulfillment of one's prayers, intensify healing or spiritual growth, or simply allow the crystal to hold a pattern of energy long enough and strongly enough for the manifestation of a goal to occur. Clear Quartz acts as a deep soul cleanser, purifying and enhancing the body's internal structure and surrounding subtle bodies to connect the physical dimension with the mind. It focuses on inner negativity and stimulates positive thoughts and feelings in its place. With a better perception of the world, Quartz increases awareness and clarity in thinking, and provides enhanced energy, perseverance and patience, teaching one to live, laugh and love with all of humanity. Aquamarine evokes the purity of crystalline waters, and the exhilaration and relaxation of the sea. It is calming, soothing, and cleansing, and inspires truth, trust and letting go. In ancient lore, Aquamarine was believed to be the treasure of mermaids, and was used by sailors as a talisman of good luck, fearlessness and protection. It was also considered a stone of eternal youth and happiness. Today it protects all who travel by, over, or near water, and opens the channels of clear and heartfelt communication. The name Aquamarine comes from the Latin aqua marinus, meaning "water of the sea," and refers to its sparkling ocean-like color. The pale blue, transparent crystal is a member of the Beryl family. Aquamarine emits a gentle and compassionate energy, promoting moderation and responsibility for ones' actions. A powerful stone for cleansing the emotional body and opening communication, it helps balance excessive anger or fear, and clears past emotional, physical or verbal abuse. Aquamarine is a stone of empowerment, for men and women alike, aiding in the realization that not all power comes from force. There is also power in aligning with the yielding, resilient vitality of life, and in promoting truthful and compassionate communication.